WordPress is one of the most common Content Management System which is spread all over the world. But WordPress doesn’t come with any core backup feature. Your website might get crashed, you may face any error during an update or there are chances of getting hacked. In that situation, you need a data backup to save your time and money. Backing up your website is a most important task to be done. It is important to have a regular backup of your website. Backing up is like a guard to your content without getting lost. Backup helps you to retrieve your complete website, depending on how much you update and the frequency of your updates, without losing anything. There are several WordPress backup plugins for your website. Each plugin has their unique features that backups your website. It is not at all a difficult task to backup your website using any of the listed plugins. In this post, we will list you the 5 best WordPress backup plugins that save your time and keeps you relaxed. The listed backup plugins can be tested in XAMPP before choosing them and using it in your real-time website. Duplicator is a strong WordPress backup plugin. This plugin not only backups your data, but it also backups a complete duplicate copy of your website. This plugin is basically a site migration and cloning tool, but with this plugin, you can backup your entire site. With this plugin, you can migrate, clone, and copy the entire website from one place to another, and this will be a great solution for you to rebuild your website. This plugin will handle both backups and migration by creating a simple ZIP file named ‘package’. This package has your sites themes, plugins, database, content and WordPress core files. With that, you can recover your site completely. This package can be moved to any location as you wish. It enables you to move or clone your WordPress data between domains or hosts. With this plugin, migration can be done without importing or exporting any SQL scripts. There is a Duplicator Pro plugin that comes with premium features like email notifications, scheduled backups etc. This Pro version has an option to backup your data to the cloud such as Google Drive, Amazon S3, Dropbox etc. This plugin gives you a great customer support. But before getting the Pro version you can use the free duplicator and know its benefits. UpdraftPlus seems to be one of the most popular WordPress backup plugin on the market. This plugin has more than a million active installs. UpdraftPlus is fast and occupies only a small resource. This plugin backup both your database and files. With the help of this plugin, you can easily setup full, manual, or scheduled backups of your entire website including themes, plugins, and database. You can restore your files easily, but you need to know minimal technical knowledge. This plugin will store all your data in the cloud. The backup data will be stored in the cloud services. If you want to restore your data, you can fetch the data from the cloud. This plugins free version comes with a lot of features, and if you want to add on more features, than you can opt for the premium version of this plugin. UpdraftPlus is compatible for multisite and you can backup the site up to 100GB. With the premium version you have options of quick restore, can select specific files for backup, and even download backup archives. While backing your data, if you face an upload fail, then this plugin will automatically reattempt your backup again. This plugin provides restoration and gives you a comprehensive solution for your website. The UpDraftPlus plugin gives you automatic backup schedules. BackWPup is a common, most famous, and free WordPress backup plugin. There are 600,000 active users and more than 5 million downloads. Here with this plugin, the backup can be scheduled or can start immediately. 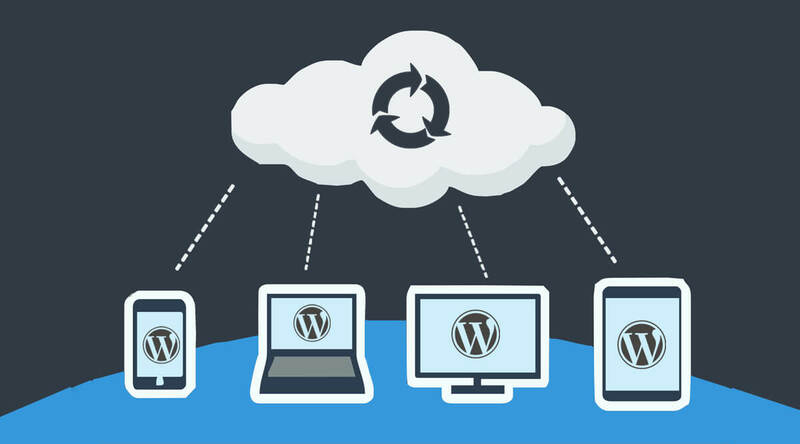 In this plugin, you can save your WordPress installation to any external backup cloud services like Amazon S3, Dropbox etc. Here all the data is stored in a zip file so that you will be able to easily restore the data whenever you want. The premium version of this plugin permits you to store your backup files in Google Drive and Amazon Glacier. It backup to multiple destinations per job. Synchronize files on remote backup location like Google Drive, Dropbox. Backup specific file path of your site per your needs. BackWPup will also give you the option to optimize, check, and repair your database. This plugin has features such as WP XML Export, database backup, file backup, optimize, check, repair database, and generates a file with installed plugins. This plugin has a procedural restoration and can support for multisite. It has an option of storing your backup data on the server or in the desired email. This plugin gives you an automatic backup on a daily or weekly basis. The premium version of this plugin comes with more advanced add-on features. BackUpWordPress is yet another powerful backup plugin for your website. This plugin has both free as well as premium version. This plugin comes with automatic scheduling. It has nearly 2 lakhs active installs. This plugin seems to be a popular choice for WordPress users. One notable feature of this plugin is that you can opt for email backup option so that your entire backup is sent to your email address. This plugin will backup your complete website, including WordPress files and database. Even though you are working on your website, you can give an automatic backup schedule that backup your data. With this plugin, you can have different schedules for different types of backup. BackUpWordPress is very user-friendly and works as soon as you install. It is also suitable for running backups on shared hosting. Nowhere the sites performance will be affected by this plugin. In recent times, this plugin comes with 12 languages and the developers are working to add on more features. You will be able to schedule your future backups also. This particular plugin doesn’t require a setup. It works in low memory and in a shared host environment, manage multiple schedules, will let you have each backup emailed to you and it will use zip and MySQL, if you got those, for faster backups. WP-DB-Backup, as the name, indicates this plugin is used to backup only your database rather than your WordPress files. If you want to backup only your database, then this plugin will be a great choice for your website. This plugin has nearly 300k active installs and has a very good user rating. WP-DB-Backup plugin comes with 14 languages, and very easy to use. With the help of this, you won’t be able to face any issues while backing up your database. This plugin will be quite difficult for the beginners because it displays all the database tables at once. WP-DB-Backup has all the normal benefits of backup scheduling, downloading the database to your computer and via email. Perhaps a plus for those more knowledgeable on the code, this plugin include a feature where you can choose to leave out some of the tables from your database backup. This plugin is the best choice if you don’t update your website often and if you don’t want to backup your images. But with this plugin, you have to backup and restore the database manually. Since WordPress is used by all most all the people around the world, at any time hackers may attack your website. So it is an important factor to have recent backups of your website in order to avoid a dangerous situation. There are plenty of WordPress backup plugins provided for you. In this post, we have listed the best 5 WordPress backup plugins. You can try using them and stick to a particular backup plugin as per your satisfaction. If you have any queries please feel free to comment us. You can subscribe to us at Facebook and Twitter.